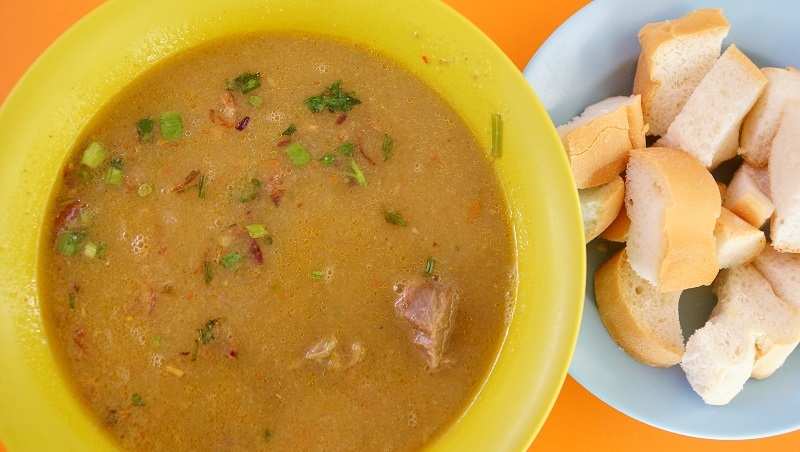 The bowl of Kambing soup comes with french loaf ($6), not too cheap for a mere bowl of soup with few pieces of mutton. Maybe the number one tag does embellish some values to it. Haji M. Abdul Rajak Stall mutton soup does not disappoint us. The bowl of soup was rich and wholesomely delicious, however, the chunks of mutton were less ideal. 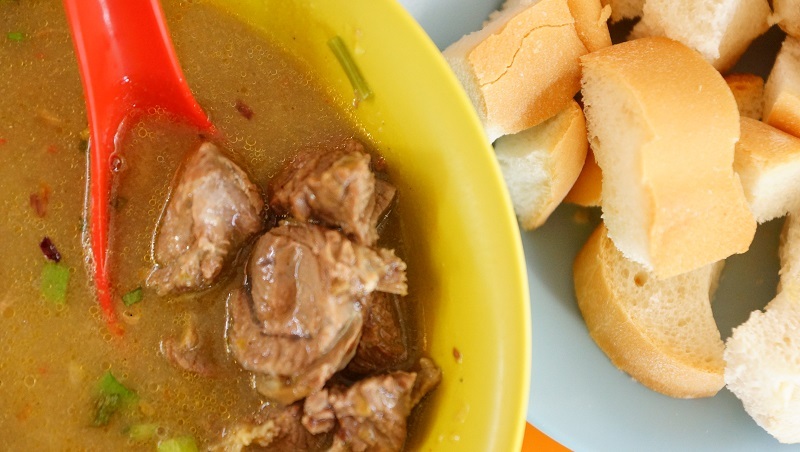 The supposedly tender mutton was tough and the texture too coarse when biting into it, the selection of the portion of the meat seems not to be given much attention which is a snag to the sumptuous Kambing soup. 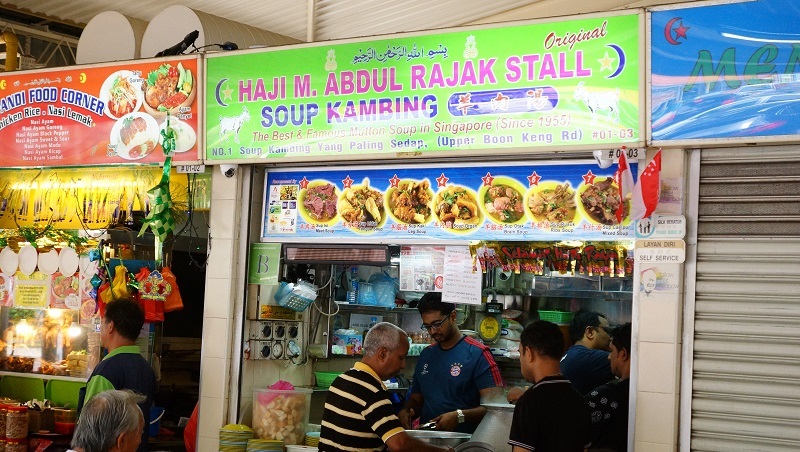 Haji M. Abdul Rajak Stall Kambing soup undoubtedly has the right substance and we cannot deny that it is a bowl of good quality soup. However, the poor quality of the mutton somehow marked down the overall standard.